TIME TO INCREASE BABY’S WAKE TIME? Getting the perfect timing with your baby’s wake time is essential. Too short, and you will have a very difficult time getting them down for naps. Too long, and you will have a very difficult time getting them down for naps. That’s right, the issues of being undertired versus overtired are very similar and often the same! They can be mistaken for one another quite easily. 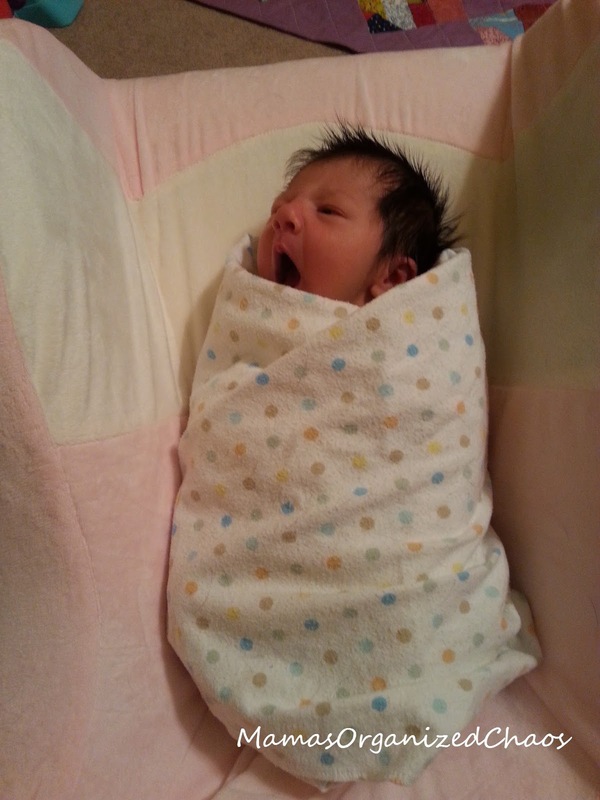 I have listed average wake times on my baby schedules page. Just go into the specific age and they are listed at the top of each page. This is a good starting point when you set up a schedule, however, not all babies are the same. The times I have listed are average times that worked for us. If you noticed your baby getting tired before the official “nap time”, note the time and put them to sleep. Don’t try and push them to stay awake longer, because an overtired baby does not go to sleep easily. Watch them for a few days, and adjust your wake time and cycle if you need to. 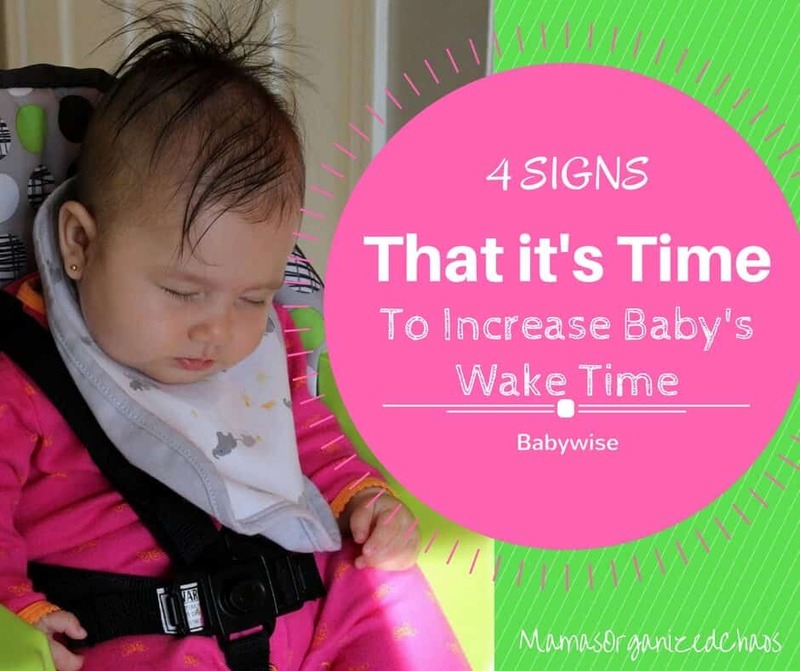 Once you have a good wake time in place, you can make your schedule and you won’t have to watch out for these cues so closely because the schedule will naturally be putting baby to sleep when they should be going to sleep. After a few weeks at your current schedule, you might notice that the schedule isn’t quite fitting anymore. Your baby’s wake time needs to increase as they get older, so you’ll want to watch for signs that it is time for a schedule change. Sometimes, you might notice some of the above happening, but when you try to increase the wake time, it simply doesn’t work and you can tell that your baby is not quite ready for longer wake times. They are right on the verge of needing increased wake time and are sort of in between schedules. This is ok and it is bound to happen. Try increasing by 5/10 min instead of making huge leaps. The shorter wake time is appropriate, but they need more stimulation during the wake time. Are they waking early from naps and practicing rolling or sitting? Babies are eager to learn and practice their new skills. Give them a chance to do so before their nap and it should help correct the issue . As new skills are learned, babies need to be provided ways to practice and like to be challenged! Next Post THE BABY IS SLEEPING, SO WHY CAN’T I?